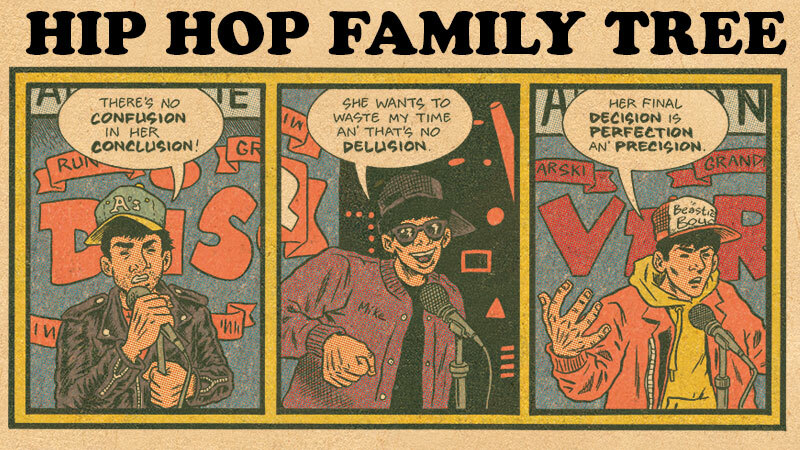 Ed Piskor, creator of Hip Hop Family Tree (which debuted right here at Boing Boing) shared with us some of the ancient artistic tools that inspires his unique technique. 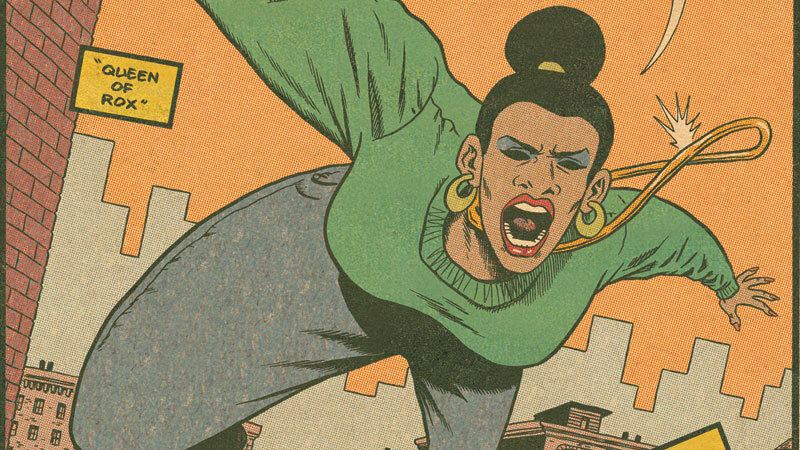 While drawing a splendid Happy Mutant, he takes us through his "war chest": zip-a-tone sheets, letraset, a Leroy lettering gadget, risography, and the immortal spirit of great cartooning. 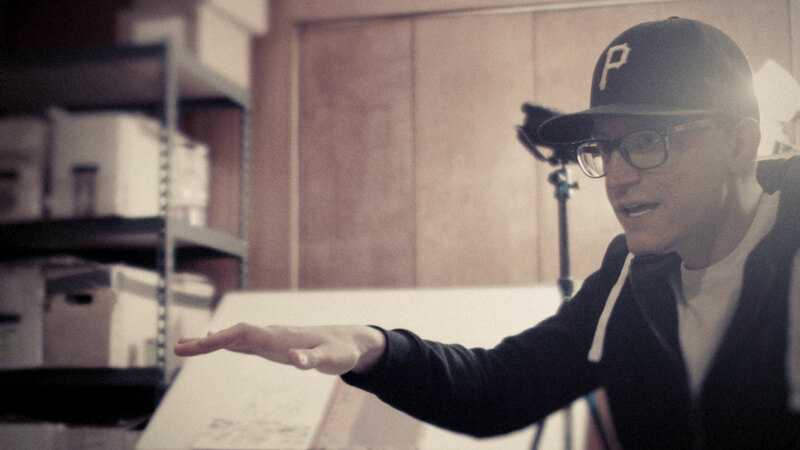 He also muses on what it's like to teach students who know every corner of a Wacom tablet, but recoil in horror when the only undo level is a splodge of white-out. 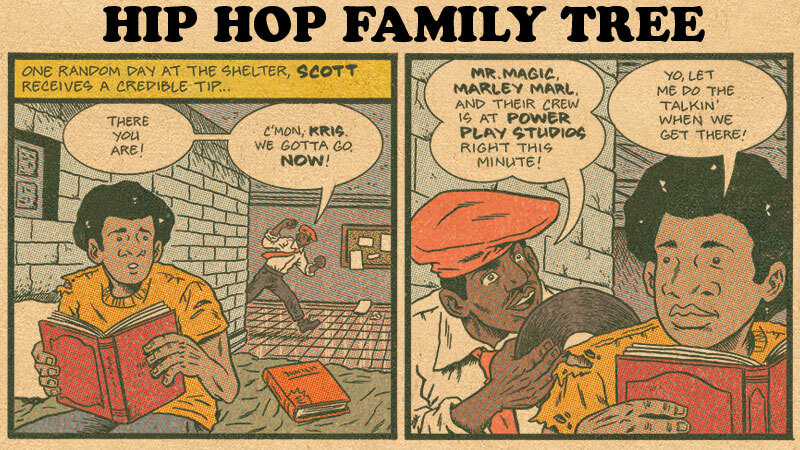 Enjoy the 35-minute visit to his studio! 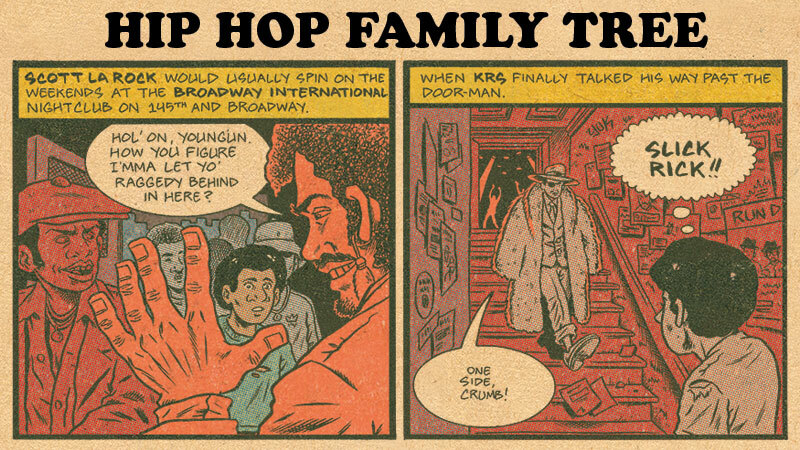 And keep an eye out for the Happy Mutant you see below—we'll be auctioning them for a good cause soon. 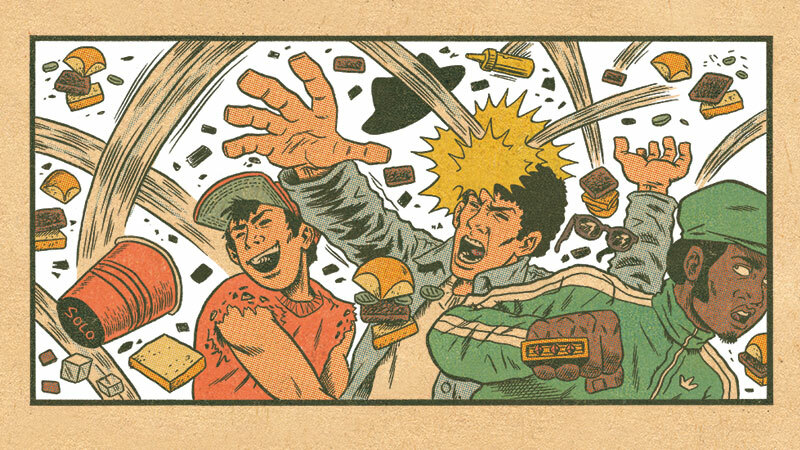 The confrontation that leads up to the big battle of boroughs between Queens and the Bronx. 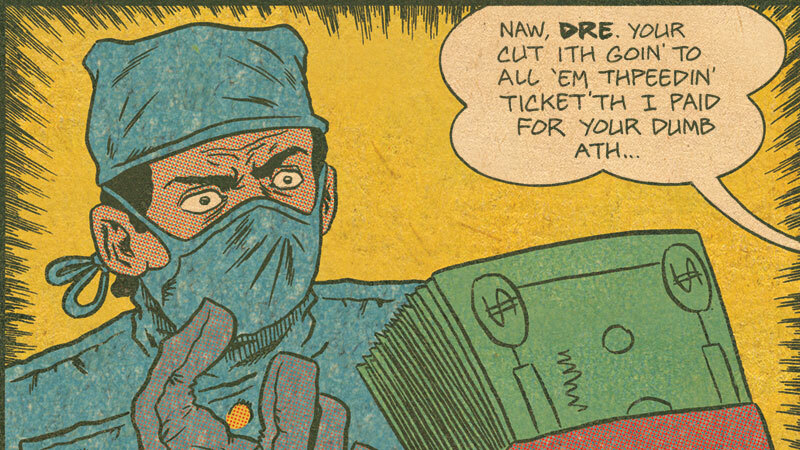 Dr. Dre got his first 10,000 hrs practice with the World Class Wreckin' Cru before his career with NWA and beyond. 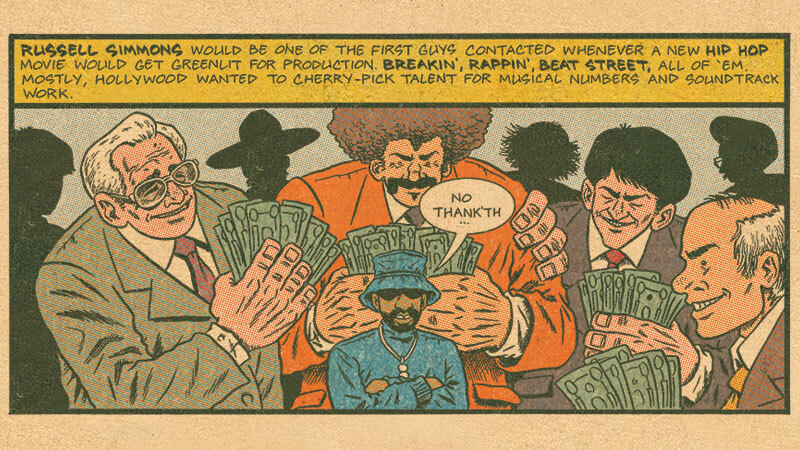 Def Jam signs with CBS Records. 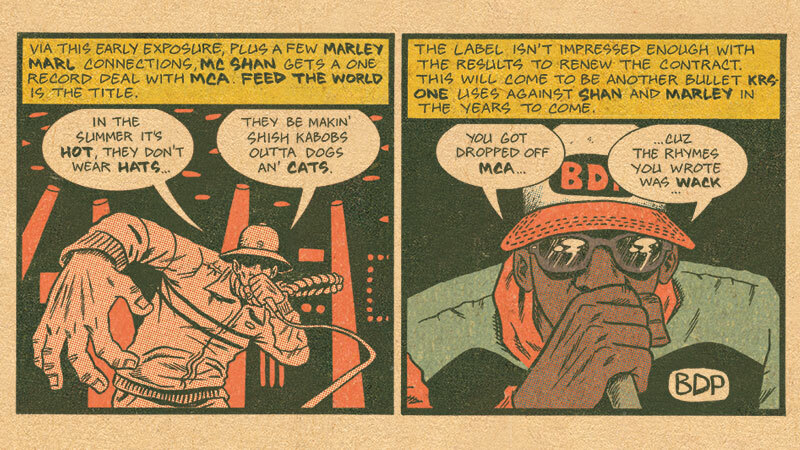 Def Jam goes from a cottage business in an NYC dorm room to a major record label. 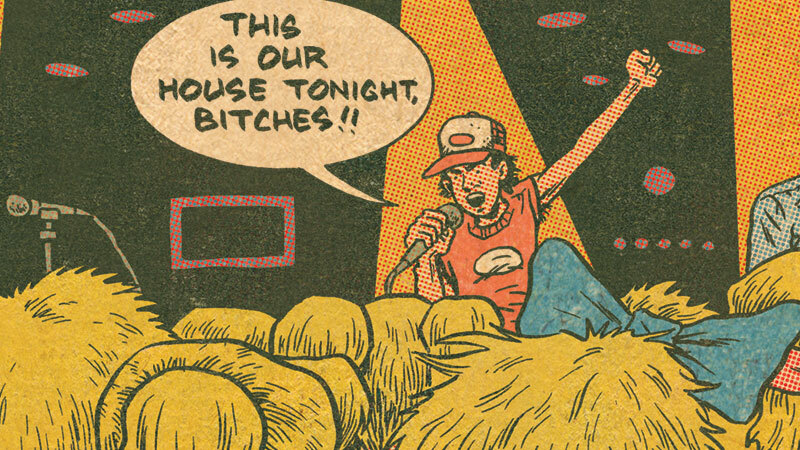 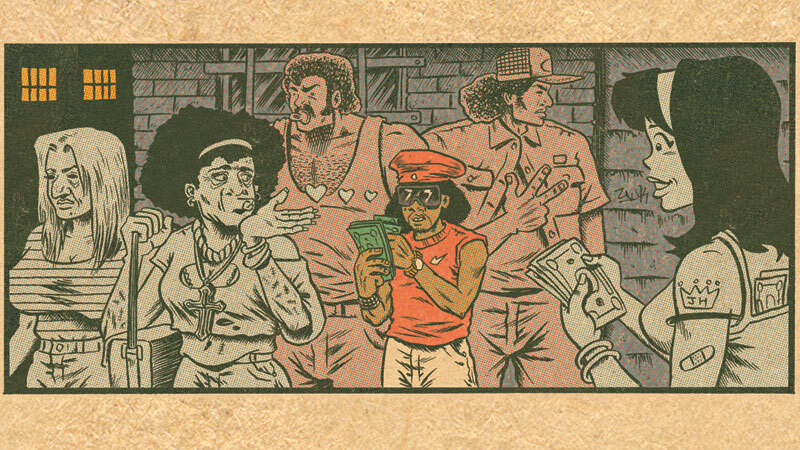 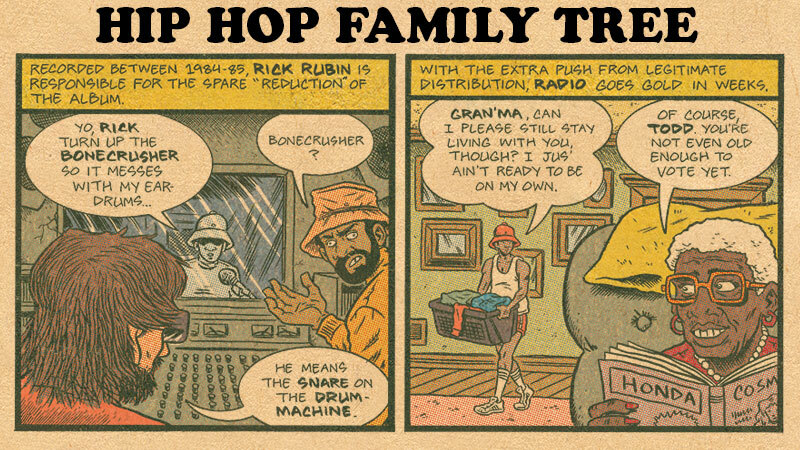 This week's Hip Hop Family Tree strip is about one of the biggest Hip Hop movies of the 1980s. 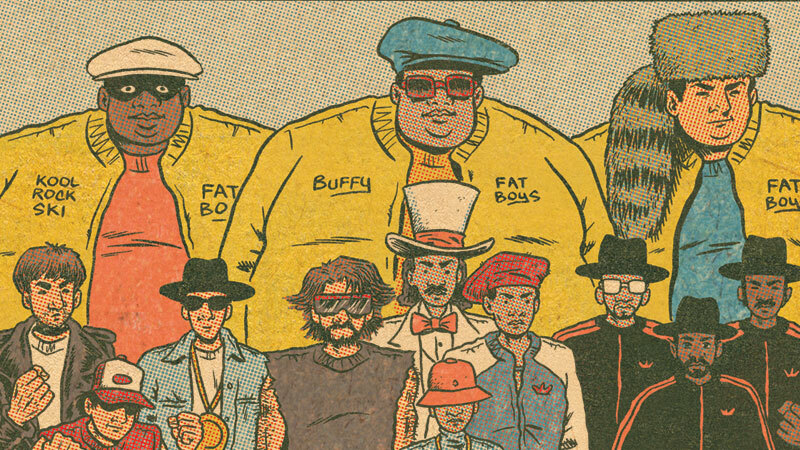 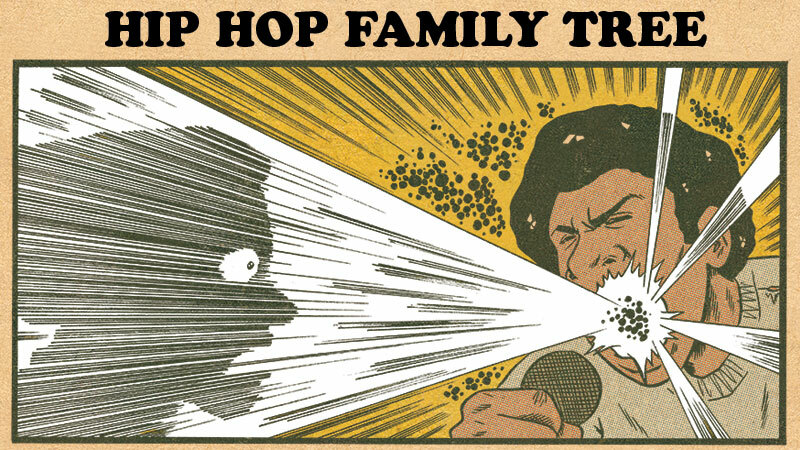 This week's Hip Hop Family Tree strip is the prelude to one of the greatest rap-inspired movies of the 1980s. 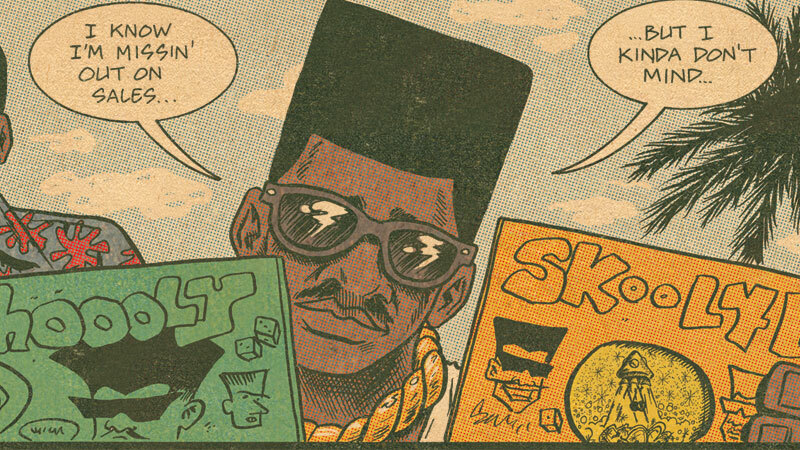 Schoolly D's Influential Hit: PSK, What Does It Mean? 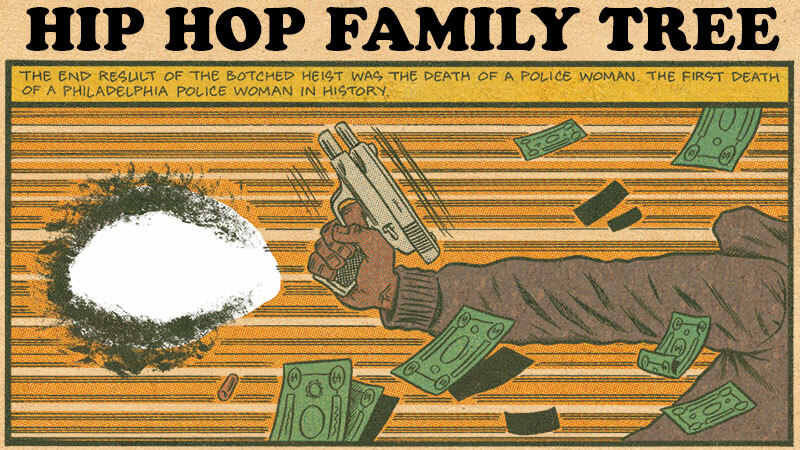 This week's Hip Hop Family Tree strip is about the man who created gangster rap.